$20 per flat. Each flat contains 18 healthy plants. Orders are due by Tuesday, March 17. 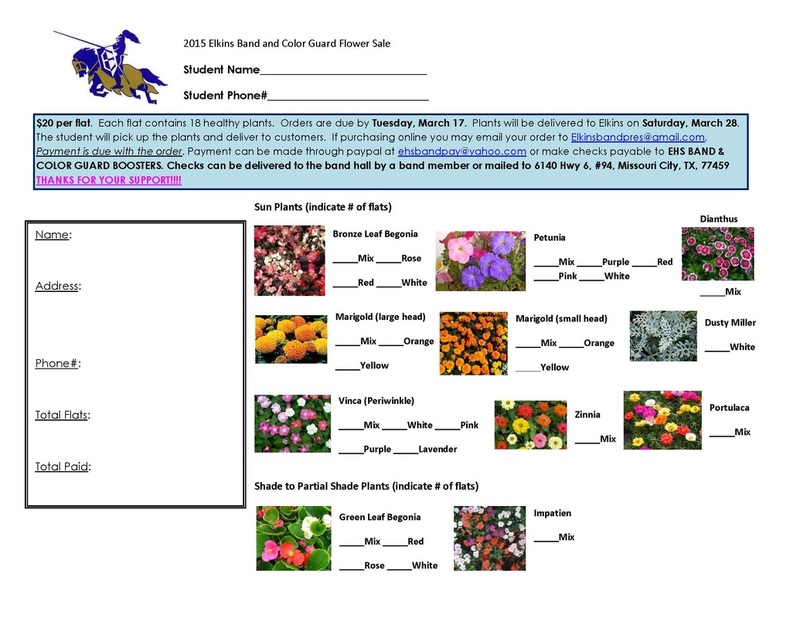 Plants will be delivered to Elkins on Saturday, March 28. The student will pick up the plants and deliver to customers. If purchasing online you may email your order to Elkinsbandpres@gmail.com. Payment is due with the order. Payment can be made through paypal at ehsbandpay@yahoo.com or make checks payable to EHS BAND & COLOR GUARD BOOSTERS. Checks can be delivered to the band hall by a band member or mailed to 6140 Hwy 6, #94, Missouri City, TX, 77459 THANKS FOR YOUR SUPPORT!!!! Are you a student in the AVID program? Which AP exams are you going to take and with which teacher? Visit the Academy Expo tonight, Tuesday, January 27, 2015 @ Wheeler Field House from 6:00 p.m. – 7:30 p.m.
During the Academy Expo, representatives from each FBISD academy will provide an overview of their academy course of study and opportunities available to students. Students and families who are unable to attend the Academy Expo may learn more about the high school academies by visiting the website at www.fortbendisd.com. Attention Students: The 2015 EHS Yearbook is on sale and copies are going fast. Last year’s book sold out early and many students were left out. We are on pace to sell out this year’s book in less than two weeks. Don’t be left out this year. Order now at www.smart-pay.com and reserve your copy. Don’t forget - senior ads this year will be placed among the senior portrait pages and not at the back of the book. Buy an ad for yourself or join together with senior friends or teammates and buy an ad together. Go to www.smart-pay.com for ad sizes and prices or see any yearbook staff member. Y.E.S. 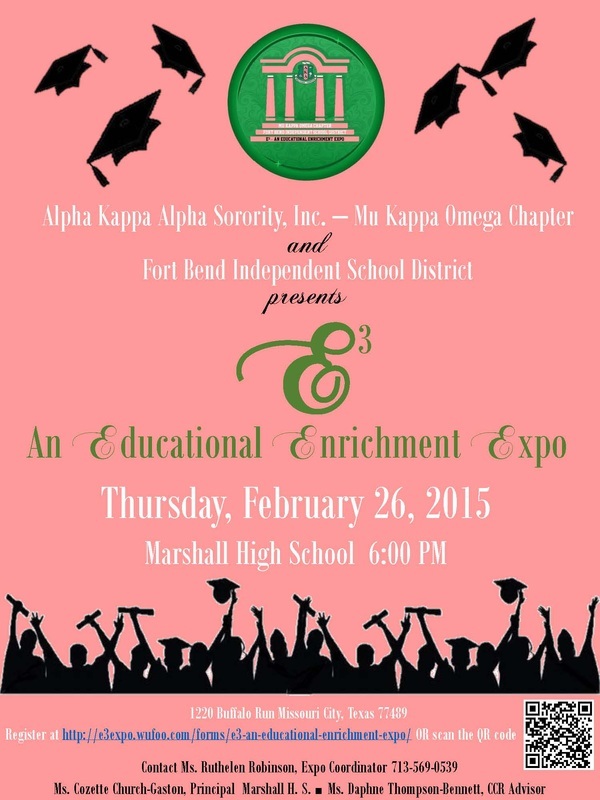 (Youth Expanding Service) is a program encouraging the students of Elkins H.S. to make a difference in our community through service. All students of EHS are welcome to join. The application, guidelines, service documentation forms & service opportunities can be picked up and returned to the Y.E.S. table in the commons at all three lunches on Mondays and Thursdays or downloaded from http://elkinsyes.weebly.com/ . Service documentation forms may be turned in to Braiyon Sands upstairs in office 402.